The paranormal is a subject that has interested me for quite sometime. I spent a few years filming investigations myself and after not getting any real confirmed results and not to mention the trouble I had with some paranormal groups and the many fakes you come across in this field, I gave it up. It seems now that the paranormal has pretty much lost its interest with people and the television networks. The days of sitting in front of the TV watching 6 hours of live paranormal investigations are long gone and unlikely to return to our screens anytime soon. So is the paranormal ‘dead’? no pun intended, maybe not. 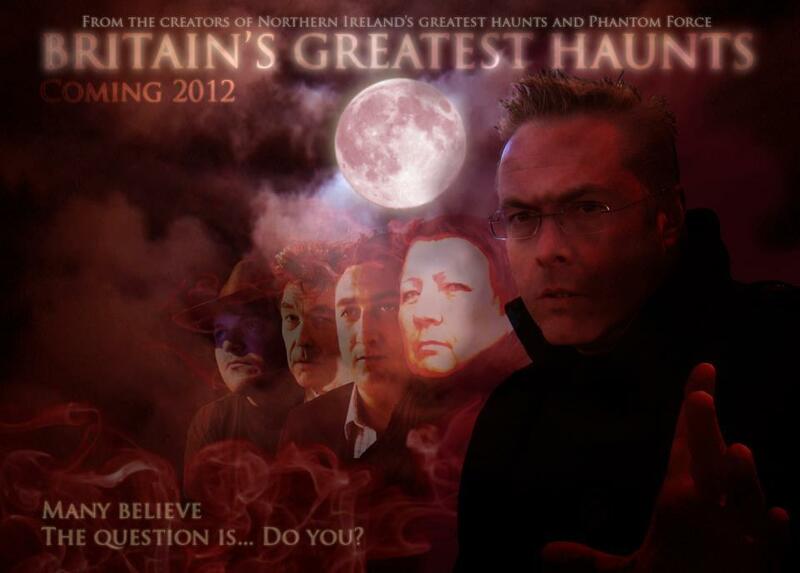 It was then in November last year that I re-joined Kriss Ellis Stansfield from Stansfilm who was asked to film a pilot for Britain’s Greatest Haunts, a spin off to the series Northern Ireland’s Greatest Haunts, broadcasted by the BBC. It will be produced and starring well known television presenter, Andy Mathews and also popular medium Marion Goodfellow. Personally up until that point, I had never heard of either of them. Also joining the team was one of my favourite historians from the once popular paranormal television series ‘Most Haunted’; yes would you believe it, Richard Felix…….wow. I never actually watched Northern Ireland’s Greatest Haunts, maybe because it was only available in Ireland or I simply missed it. So had to do some research and managed to find some episodes floating around on a well known video uploading site (cough, cough). Having watched it, I found it very interesting, genuine and somewhat revived my interest in the subject once more. So with that and having been asked to film along side Kriss, I decided to accept the challenge of creating a pilot in the hope of a television network picking it up. The location set for the pilot was the Fox Inn at Pirton in Herefordshire. A 3-day, very interesting and energetic shoot. Many believe…. the question is… do you?